This "Historically Speaking" column appeared in the Exeter News-Letter on Friday, August 30, 2013. The records do not show any organized public schools in Exeter until 1703 when the town voted to hire a schoolmaster. Three years later, they decided they needed an actual school building. For the next hundred years, the record merely tells us the names of each schoolmaster. In 1847, the State required towns to create graded schools and also mandated that the school board had to prepare an annual report for the town. That year, the Superintending School Committee created an unfiltered view of the town’s teachers and their schools. It couldn’t have been easy teaching in those early schools. Most classes were large – you might even say huge – with upwards of 50 to 60 pupils attending on any given day. Parents would sometimes send children too young for school to tag along with an older sibling for the day. Imagine how challenging it would be to try to teach a class of 50 students, all at different grade levels, with a few three year olds underfoot. In spite of this, there were a few schools the report felt were excellent. The classroom of Charlotte Ellis, who taught the primary students at Hall Place, was singled out as superior. Charlotte and her sister, Rhoda, would both serve long tenures in Exeter’s schools and are commended in nearly every school report during their long careers. They must have had nerves of steel. Of one issue the report was clear: woman made better teachers than men. And the reasons were blatant. “We believe that most of the schools in this town would be better managed and better taught by properly educated females than by males. Besides, while a better instruction is obtained, the employment of female teachers is a matter of great economy to the District. The same money would generally secure the services of a female twice as long as a male.” Hire women, they’re cheaper! Finding people willing to teach our large classes at low pay was sometimes problematic. In 1900, the report commented, “we had no little difficulty in securing a satisfactory teacher for the Primary school on the Plains. Seven teachers more or less directly refused it. 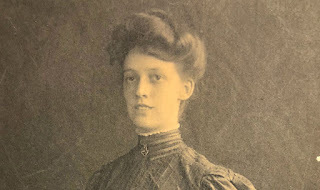 Finally Miss Mary F. Hallier was engaged and is doing well.” The Plains school, on Park Street, was notorious as an overcrowded, dark, airless building with no inside toilets or plumbing. It’s no wonder it was hard to find a woman willing to teach 50 little children for only $250.00 per year at that school. Some of the women teachers could earn a decent living teaching. High School teachers were paid at a higher rate – mostly because they often had a college degree rather than Normal school training. 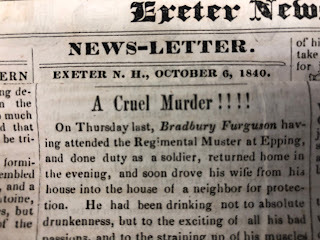 But it still must have burned Mildred Diman, who had a bachelor’s degree from Brown, to be earning two hundred and fifty dollars less than Donald Wight, who also had a bachelor’s degree, even though she’d been teaching in the high school for eleven years and he was a new hire. It wasn’t until 1937 that a woman in the Exeter corps of teachers finally out-earned a man. 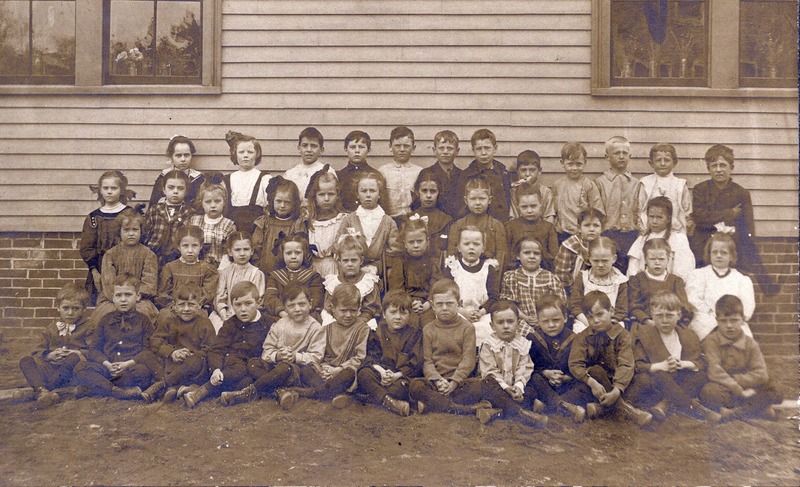 Photo: The children of the primary class at the Plains School on Park Street on April 28, 1908. This particular day the teacher got lucky and only had to manage 47 students.